Wouldn’t the ultimate Christmas gift be to give someone the very best version of themselves? Giving someone the best version of themselves is my goal as a portrait photographer. It’s the point of my work. My raison d’etre. To do this, I have to achieve a connection with my subject. Once I have, I can then use my skill and mastery of my camera to capture the best version of my sitter. To reflect back something that they might not themselves see. It’s a very powerful thing to offer someone. And doesn’t that make a portrait photoshoot the ultimate Christmas gift? It's why I sell Gift Cards. So you can do just that. It’s a gift that will last a lifetime and beyond. It can be enjoyed not only by the recipient, but also his or her family, friends and loved ones. A portrait captures a moment in time and keeps it safe. You can then revisit it over and over. A beautiful portrait makes the subject feel good about themselves. It gives them a confidence boost. And we can all use that from time to time. Practically speaking, a great portrait is useful as it is the face you show the world on business and personal profiles, social media, etc. 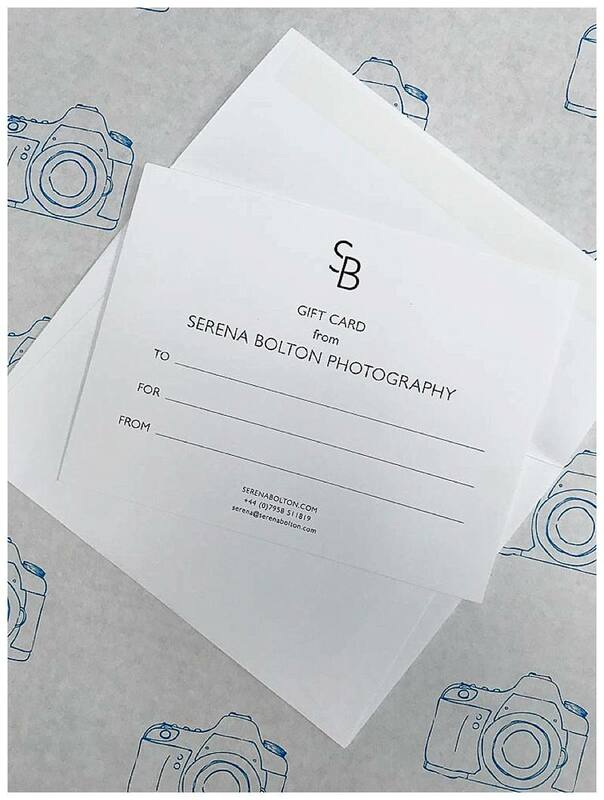 So why not give a Portrait Photoshoot to a friend, family or loved one this Christmas, with a Gift Card from Serena Bolton Photography? If you are ready buy the ultimate Christmas gift, then contact me at the West London Studio on 07958 511819 or at serena@serenabolton.com to buy a Gift Card. This can be used for a Individual or Family Portrait photoshoot in the Studio or an At Home and On Location Individual or Family photoshoot. For a truly special gift, why not gift one of our Collections? Click here to see a selection of my portrait work.